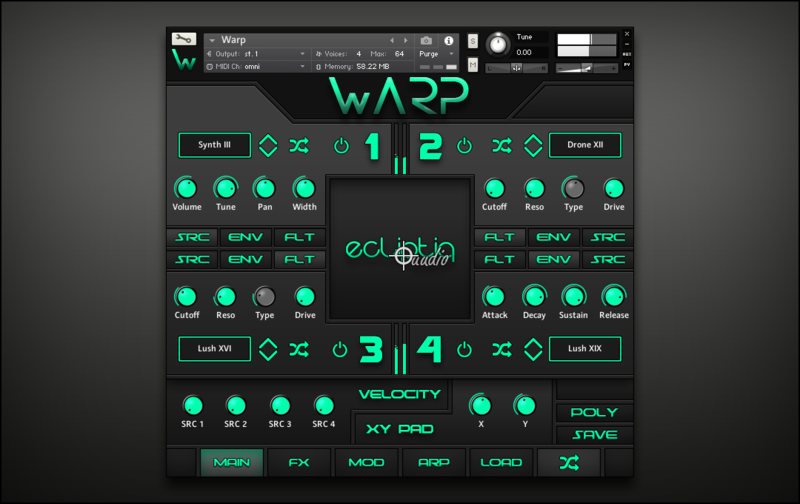 Warp is the first instalment of Ecliptiq Audio's brand new series featuring Qadra, a cutting-edge and versatile Kontakt engine capable of layering, morphing, blending and shaping all kinds of sounds with each other. 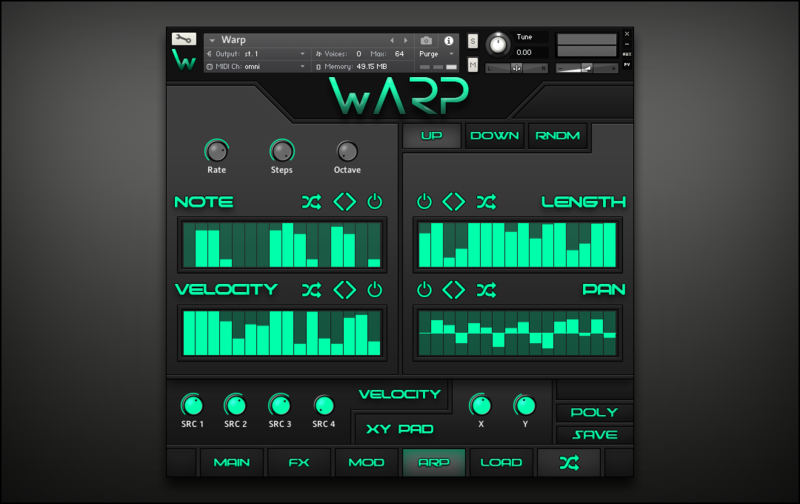 Warp is specialized in pads, drones, swells and other atmospheric synths. 100 Multisampled Pads, Drones and Synths. 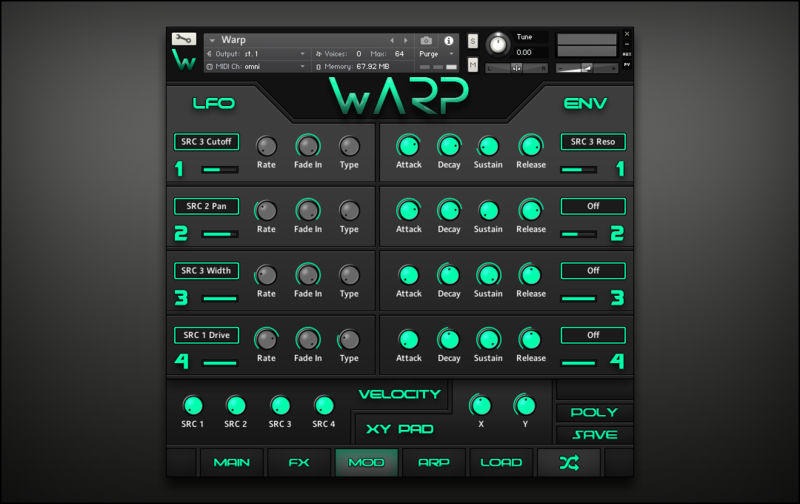 LFO, Envelope and XY Pad Modulation. 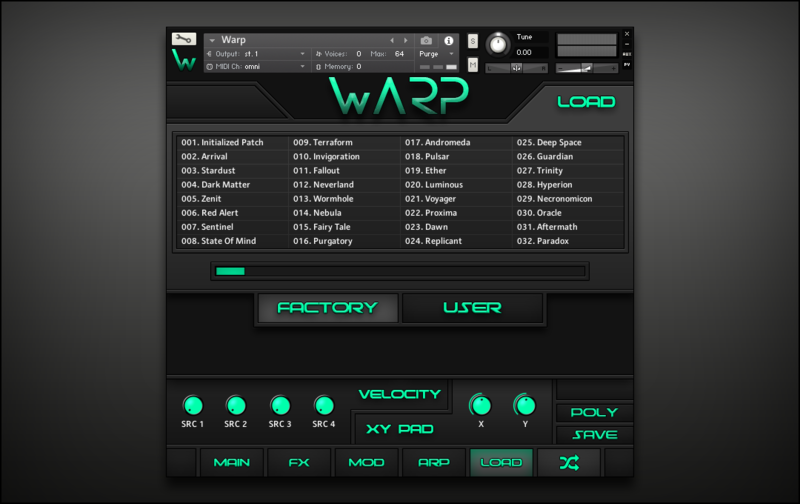 Built-in Preset Menu with 160 Presets.